Ravenswood’s Vice- Captain for 2019, Jasmine Eatough, has won a 60-minute leadership session for her school’s student leadership team with Crimson Education co-founder Sharndre Kushor. Crimson Education offered participants at the Alliance’s 2019 Student Leadership Conference the opportunity to win the session. The response to the competition was overwhelming with students clearly valuing the chance to access a mentorship and connect with a successful young female leader. Sharndre understands the challenges of leadership and is looking forward to sharing some of the things she’s learnt and supporting other young female leaders as they start out on their own leadership journeys. “I believe that it is important to mentor our generation’s young female leaders, as this fosters discovery in their capabilities, confidence and leadership potential. Crimson believes in finding your best potential and being mentored by those invested in your future means you can achieve incredible heights. If there was one piece of advice I can give young female leaders; it would to be really bold, do the things that matter to you and do them as best you can. I am excited of the partnership between Crimson and AGSA and look forward to seeing some amazing achievements from these young female leaders,” she said. Student leaders at Ravenswood had their preconceptions of leadership challenged at SLC and are now looking forward to taking up this incredible opportunity and learning more about leadership. “I hope the session with Sharndre will encourage us to become more resilient and open-minded when we are faced with challenges,” said Jasmine. 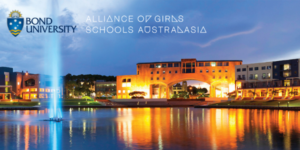 Providing leadership development for girls is a priority for the Alliance. 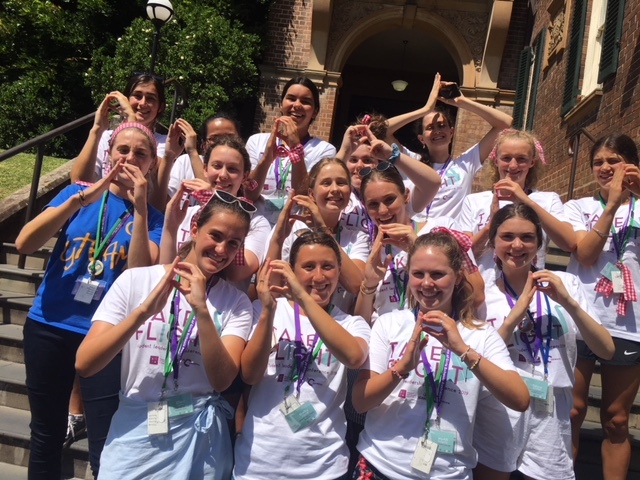 Our 2019 Student Leadership Conference brought together 170 girls from 75 girls’ schools for the largest girls-only leadership event of its kind in Australia. Girls travelled from around Australia and New Zealand and as far afield as Zimbabwe, the Philippines and the United States to take part in the four-day program. AGSA executive officer, Loren Bridge, said the program supports attendees in becoming effective and motivational leaders during their final year of school. “Research shows that leadership development like the Alliance’s conference program and Crimson’s mentoring session build girls’ self-confidence.” She said.